The Feed-in Tariff (FIT) is a government scheme aimed at incentivising the adoption of small-scale renewable electricity generation in the UK. The Department of Business, Energy and Industrial Strategy (BEIS) set new FIT rates for every quarter which applies a degression to the rates. The tariff rates are fixed once you are registered to receive the FIT except for an annual adjustment to reflect the Retail Prices Index (RPI). The FIT rates are guaranteed for 20 years for most technologies with the exception micro combined heat and power which is 10 years, this is based on the system deemed lifetime. The below table shows the current and future rates from 1st January 2018 – 31st March 2019 for the generation tariffs by technology and system size as well as the export tariff which is the same for all technologies and sizes. NOTE: These figures are for illustration purposes and you should check Ofgem‘s FIT tariff tables for the most current figures. 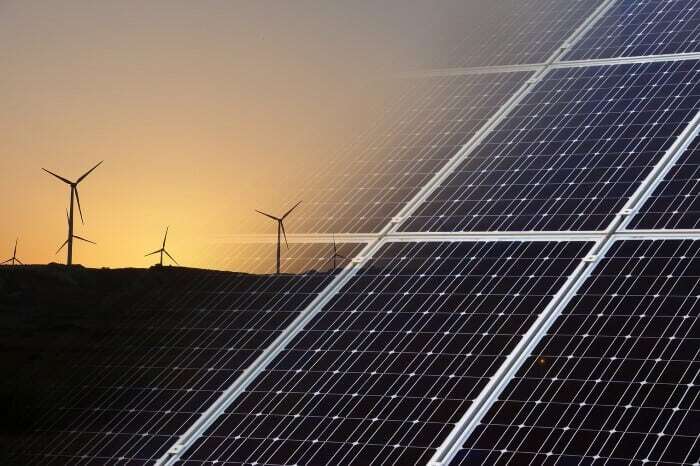 The Feed-in Tariff (FIT) scheme is a government initiative that was designed specifically to promote the adoption of renewable and low-carbon electricity generating technologies in the UK. It was introduced on 1st April 2010. The Feed-in Tariff scheme places a requirement on participating electricity suppliers to make payments to eligible technology installations. The FIT is made up of two elements. The first is a generation tariff which pays the owner of the system for every kWh of electricity they produce. The second is an export tariff which pays a rate per kWh for the electricity that is exported to the National Grid. The generation tariff is based on the metered amount of electricity generated, whereas the export tariff is a deemed proportion of the system capacity as it cannot be accurately metered at present. The FIT rates are set at specified rates by the Department of Business, Energy and Industrial Strategy (BEIS) and they are adjusted periodically to bring them in line with the cost of installing the system and to ensure the cost of the scheme stays within the perimeters of the scheme funding. The current FIT scheme has a deployment cap on the number of new installations that are able to receive the FIT support each month. If the number of applications exceeds the monthly allowance they are queued for subsequent months. What Criteria Do You Have to Meet? The criteria can vary depending on which technology you install but you will need to ensure that you have a Microgeneration Certification Scheme (MCS) certificate for your system to eligible. This requires you to use a certified MCS installer and install MCS certified equipment. There are additional requirements for properties that have solar PV systems as they need to prove that they had an Energy Performance Certificate (EPC) rating of D or above before the system was installed to receive the higher rate of FIT payments. To evidence this you will need to supply a valid EPC. If your property’s EPC rating is below a D rating you then you will need to use the advice from the EPC in order to bring your EPC rating up above D and get the EPC re-done before installing the solar PV system to be eligible for the higher of FIT. You can learn more about EPCs, ratings, and how to obtain a certificate in our EPC guide. The Microgeneration Certification Scheme (MCS) is a quality assurance that certifies microgeneration technologies that generate electricity and heat from renewable sources and low-carbon technologies. They accredit both the system technologies and the competency of the installers. It covers electricity generating technologies up to 50kW and heat generating technologies up to 45kW. The MCS is recognised in the UK only and is supported by the Department for Business, Energy, and Industrial Strategy. The MCS website enables homeowners or businesses to search for installers and products that are MCS accredited. This enables consumers to select the most appropriate system and be aware of any additional requirements to make the system MCS accredited. How Do I Apply for the FIT? In order to apply for the FIT, you will need to first get your system commissioned and MCS certified which the installer will do on your behalf on the central MCS database and will issue you with an MCS certificate. You will then need to submit an application to the energy supplier of your choice to make the FIT payments to you, they may also be referred to as a FIT licensee. There is a list of all FIT licensees below and on the Ofgem website which includes both mandatory and voluntary licensees with their contact details. Once your application has been processed and accredited you will start to receive your FIT payments. How Is the FIT Paid? The FIT payments are paid to the system owner on a minimum of a quarterly basis by the chosen energy supplier based on the amount of electricity the system has generated. This requires beneficiaries to submit regular meter readings to their FIT energy supplier. FIT payments are made from the date that you become eligible for the scheme. The eligibility date varies depending on the size of the installation. For smaller systems below 50kW and all micro combined heat and power systems this date is when the MCS certificate was issued. Larger systems between 50kW to 5MW and all anaerobic digestion and hydro systems up to 5MW need assessing by Ofgem and the eligibility date is the date when Ofgem receive the application. You do not have to get your FIT payments from your existing energy supplier but some energy suppliers may require you to be a customer to access the FIT payments from them. The larger energy suppliers are obligated to pay the FIT and smaller suppliers can participate voluntarily. How is the FIT Regulated? As you may have noticed the export tariff is a deemed amount and not metered so it is based on the technology and the size of the system. So regardless of the amount of electricity that you use from the amount generated you will still get the same amount of export payment. Therefore if you want to maximise your savings from your microgeneration system you should try to utilise the energy when your system is producing it by timing your usual energy consuming activities (not additional activities) when your system is producing the energy. All calculations of the savings made through having a microgeneration system are based on averages and therefore you may be able to increase this figure and get a better return on your investment and shorten the back period. Can I Store the Electricity That I Generate? Electricity storage is available but can be costly and it is probably not an economically viable option at present but it may be in the near future. There is a lot of investment going into energy storage as it will greatly improve the grid flexibility and make renewable energy more viable on a much larger scale which will allow countries to start decarbonising their electricity through switching to more renewable energy like wind and solar PV, and reduce the amount of coal and gas power stations. If you have a complaint regarding your FIT licensee you should first try to resolve the issue with them and follow their complaint procedure. If the complaint has not been satisfactorily resolved within eight weeks from lodging your complaint you can contact the Energy Ombudsman. Likewise, if you have a complaint with the installer you should first try to resolve it with them. If you cannot resolve the complaint satisfactorily then you should contact the certification body that the installer belongs to, you can find these details on the MCS website. Or you can escalate the complaint to the Renewable Energy Consumer Code (RECC) where you can complete a complaint registration form online. The FIT was first announced in 2008 when it was entered into law in the Energy Act 2008 and it commenced on 1 April 2010. The UK FIT followed in the footsteps of the very popular German initiative that showed how successful a tariff based incentive scheme could be in stimulating public interest and uptake in microgeneration technologies. Since the FIT commenced there have been several changes largely due to the success of the scheme and the reduced costs of solar PV panels. There has also been a reduction in the size of systems that are eligible for the scheme. The FIT has largely seen solar PV panels as the beneficiary of the scheme and along with the higher demands across the global technology has advanced and economies of scale have been achieved which has seen the cost of installations decrease significantly. As a result, the pay period for solar PV shortened and a huge increase in installations occurred including companies establishing rent-a-roof schemes. This made the scheme unsustainable as the cost of the FIT funding requirement escalated, so the FIT rates had to be decreased. The rates dropped in 2011 to 21 p/kWh from the original 45.4 p/kWh for a PV system below 4kW on the higher rate. The rates continued to drop and at the beginning of 2018, the rate was 3.93 p/kWh. In order to future the FIT a deployment cap was introduced in February 2016. This restricts the number of installs each month so that the financial cost of the scheme was maintained within acceptable levels. There was also a degression placed on the tariff rates each quarter so that as the prices of microgeneration fell the rates would fall too. Like the FIT there is an incentive scheme for renewable and low carbon technologies that produce heat and hot water, this is called the Renewable Heat Incentive (RHI). The RHI offers fixed rates for seven years to owners of microgeneration systems. Ofgem point people initial to the Energy Saving Trust in England and Wales or the Home Energy Scotland for initial advice on the FIT.